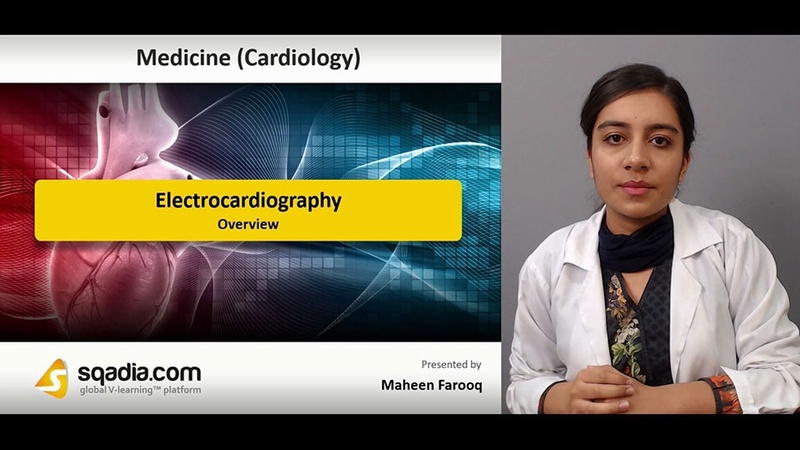 In this lecture ´´Electrocardiography´´ is explained. Section one is about ‘‘Overview’’. In this section, educator focuses on what is ECG? In addition to this, normal conduction pathway is discussed. Likewise, heart excitation related to ECG comes under consideration along with the significance of ECG. Furthermore, indications for performing ECG are pursued. Section two is about ''Procedure''. Initially, educator sheds light on patient position for the conduction of procedure. After that duration of procedure is explained. Then ECG leads are discussed thoroughly. This is followed by highlighting standard leads, unipolar leads, and chest leads. 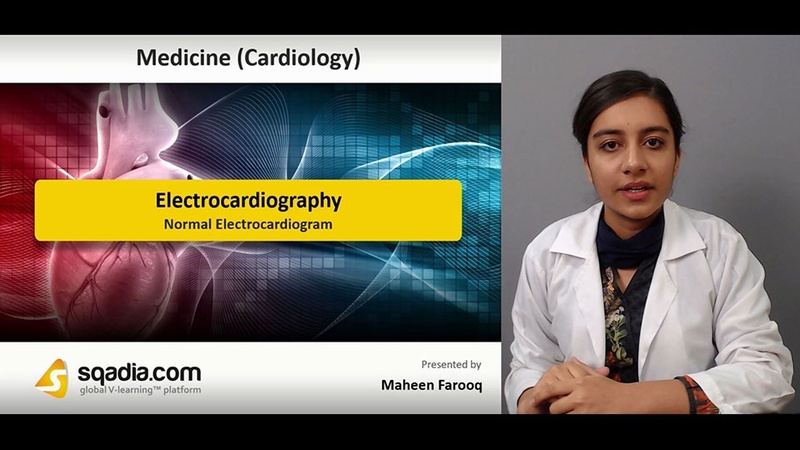 Section three is about ''Normal Electrocardiogram''. 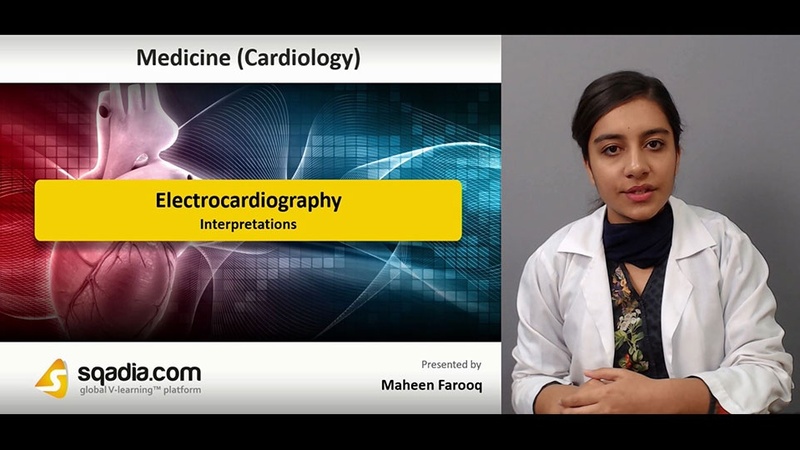 Educator begins by explaining wave forms which include the elaboration of P wave, PR interval, QRS complex, and ST segment. Moreover, cardiac axis is the next subject of discussion in this section. Section four is about ''Interpretations''. In the beginning, information about interpretations is given. After that comprehensive discussion continues on rate. Then rhythm is explained. Alongside, educator also focuses on sinus tachycardia, atrial flutter, atrial fibrillation, and ventricular fibrillation. 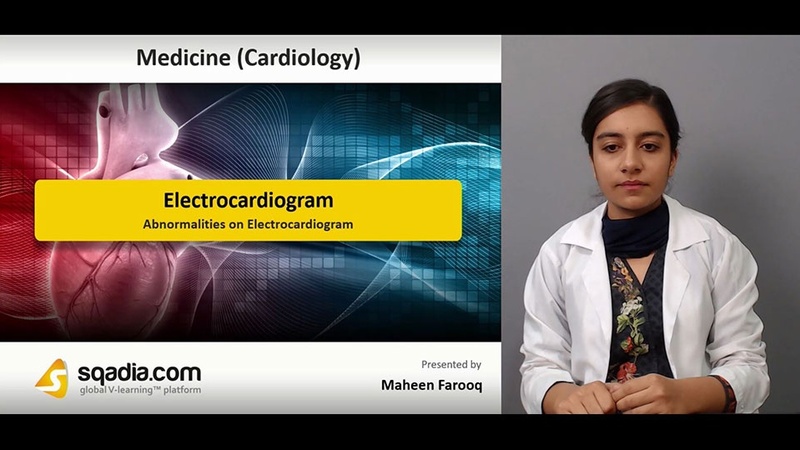 Section five is about ''Abnormalities on Electrocardiogram''. Educator starts this section by clarifying the concept of abnormal wave forms. After that abnormalities in PR interval are discussed along with the elucidation of first degree heart block, second degree heart block, and third degree heart block. Subsequently, abnormalities in QRS complex and abnormalities in ST segment comes under consideration. Moving onward, electrolyte imbalances are pursued.